“Atlas Shrugged Part 2” – why so much gnashing of teeth? 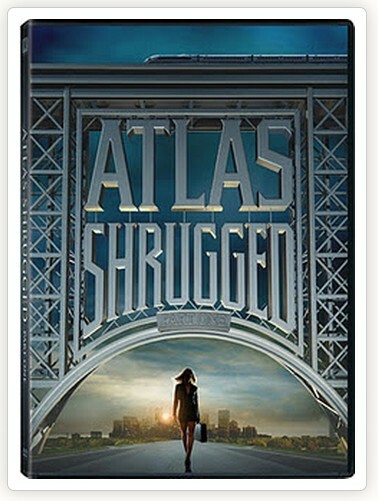 The independent film of the first third of Ayn Rand’s “Atlas Shrugged” is out on DVD and Blu Ray in time for Christmas giving. It was a small-budget film, with a cast of lesser-known actors. I had some misgivings about it before it came out. I couldn’t see how it could be set in the near future and work, seeing as how the book was published in the 1950s and was set “approximately” in the 1970s. She made it all work, and we can still read it today and understand that it was written when the Communist threat of the Soviet Union and its Eastern Bloc countries was very, very real. Translating that to today, or a few years from now, was a dicey proposition. Somehow they made it convincing enough. I found it internally consistent and easier to follow if I didn’t constantly try to compare it to the book. The Rand’s magnum opus was over a thousand pages and even six hours of film – three movies – will not be a thorough rendering of the book. That doesn’t mean it can’t convey the main themes Rand presented in the book. So far, I think it’s doing so and doing so in an entertaining way. It’s been hammered by the critics, of course. They are primarily not the audience for a film such as this, anyway. In fact, I would hope that it makes the smarter ones damn mad. Any “progressives” who have some intelligence should feel very uneasy with the things said in this movie. I thought the writer and director focused it correctly to make sure Rand’s theme came out unambiguously. There has been a lot of talk on the comment sections of the sites for both Part 1 and Part 2, and others, about how the film was poorly marketed, poorly this and poorly that. Not true! It was marketed and placed in theaters independently. It was probably the only way to get it into theaters. There was a lot of talk about how it didn’t make enough money in the theaters. Hasn’t anyone every heard of DVD sales? A lot of smaller films have very limited release in theaters, and then go quickly to DVD. The DVDs sell over a longer period of time, sometimes by word of mouth more than anything. Eventually the money comes in and everybody gets what they need. I guess the producers have been thinking of putting some “name” actors in Part 2 to give it more marquee value. There are a lot of Hollywood actors who wouldn’t have anything to do with this film, of course, because it is completely at odds with their politics. The idea that that people won’t see these films unless there is an Angelina Jolie in it is, in my view, flawed. I thought the cast did what the cast should have done in Part 1 – they became the characters. I didn’t think of the actress playing Dagny as Taylor Schilling, but as Dagny. Rebecca Wisocky (I had to look her name up) was particularly good as Lillian Rearden. Even Grant Bowler, as Hank Rearden, was really pretty good – although I still think he is too short! If you’ve not seen it, get the DVD. Or on Blu-Ray. In any case, right about now, this is the perfect book and film for all Americans to read and see.